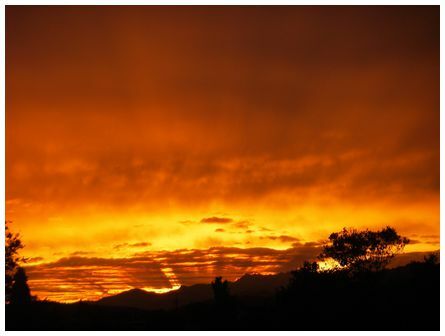 'On 20 October 2011 at 10:33 in Hamilton I noticed these very long clouds going from horizon to horizon. 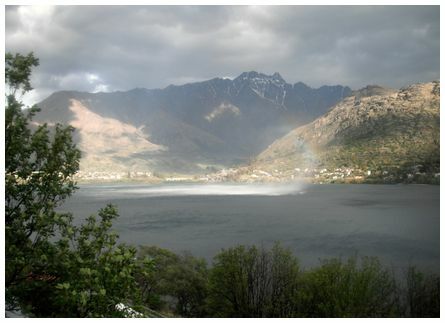 This image was obtained by stitching five photos taken with a wide angle on a Canon dSLR, producing this 180 degree view' wrote Jan.
'Wind gusts in Queenstown at 17:30 on 24 October 2011' wrote Sarah. 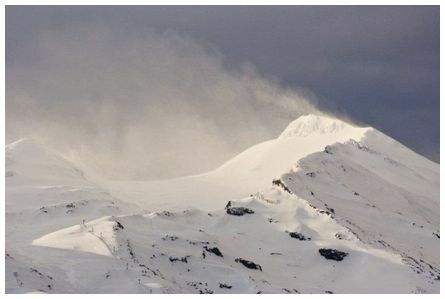 'Kia ora James, at top of Mt Ruapehu high winds were blowing and causing the snow to stream away across the tops at sunrise. Looking south from the Chateau Rd at 06:30 21 October 2011. Nikon D90 - 300 lens f8 at 1/1000s' wrote Albert. 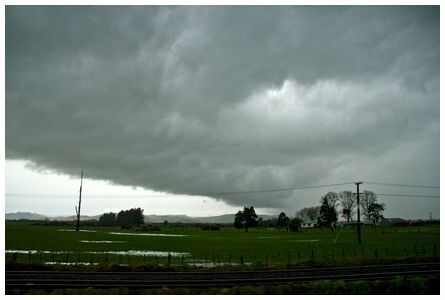 The photograph was taken on 4 November 2011 on Upper Plains Road north-west of Masterton at 13:10. 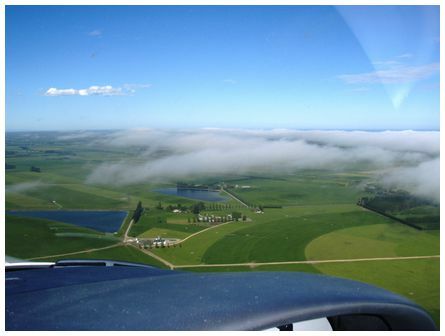 There was a very strong north-westerly winds throughout the Wairarapa. 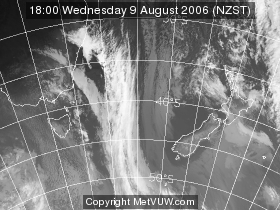 Convective development could be seen along the length of the Tararuas. 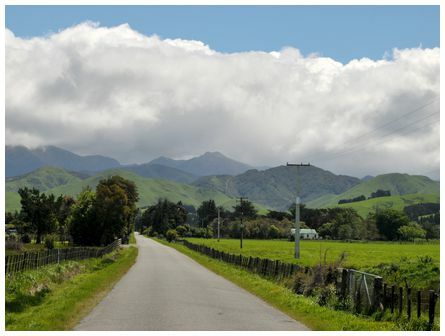 The 1570 metre Mitre, the highest peak in the Tararuas can be seen in the distance. Taken with a Nikon D300 and a fixed focal length 35 mm lens.